Going to Beauty School in a Refugee CampBeauty school in the Beddawi camp. 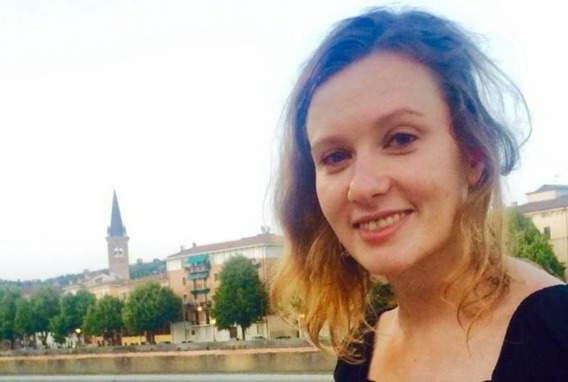 What to Know in the Case of an Uber Driver Accused of Killing a British DiplomatRebecca Dykes was found dead in Beirut on Saturday morning. Lebanese PM: I’m Not Being Held Captive by Saudi ArabiaThis is not likely to clear up people’s questions. Exhibition Shows What America Looks Like From BeirutRichard Prince and Donald Trump: trying to figure it all out. Israeli Vulture Detained on Charges of EspionageAn Israeli vulture drifted into Lebanese airspace Tuesday. Lebanon Arrests 11 People Linked to Beirut AttacksISIS claimed responsibility for the bloodbath in a suburban shopping center that killed more than 40. Malala Marked Her First Day of Adulthood by Opening a School The Nobel Peace Prize–winning activist spent the day with Syrian refugees in Lebanon. This Lebanese Village Is Under Attack by ISISResidents of Ras Baalbek are hanging their hopes on the Iranian-backed Hezbollah to save them. Two Israeli Soldiers Killed by Hezbollah FireAfter an Israeli strike killed its fighters this month. Selfie Diplomacy Goes Awry at Miss UniverseCan’t we just put a filter on it? Lebanon Would Like Syria to Please Stop Sending Refugees AlreadyPlease. ISIS Leader’s Wife Tried to Move to Lebanon on a Fake PassportCan you blame her for wanting a vacation from Syria? Beirut Cops Can’t Tell Hipsters From JihadisIt’s the beards. The Latest Viral ‘Challenge’ Is ISIS Flag-BurningAlas, it involves burning the shahada, so Lebanon is not pleased. The Lebanese Government Is Not Enjoying HomelandAs in, they are vaguely threatening to sue. Hezbollah’s Prime Minister Pick to Form New Lebanon GovernmentMiqati claims to be a consensus candidate. Something Made the ‘Post’ Think of IsraelThe ‘Post’ picks a funny place to put a teaser for their coverage of Israel’s 60th anniversary.